The insiders thought they had it all figured out. The last person picked by the 40th District Democratic Central Committee to fill a recent House of Delegates vacancy, Gary Brown Jr., was out. The reason: Brown’s indictment last week for alleged illegal campaign contributions to his boss, then-mayoral candidate Catherine Pugh. So there was the committee last night considering a hastily-assembled set of would-be replacements for the job of representing this West Baltimore district, one of the poorest in the nation. Two of those candidates were, like Gary Brown, members of the committee, permitted to vote for themselves: Tiffany Welch and Arlene Fisher. The two women took turns getting up from the committee table and facing their fellow committee members to be interviewed. 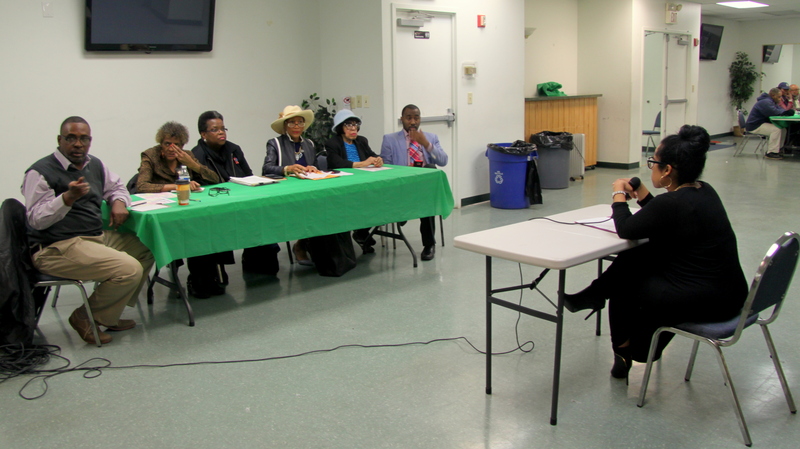 Seven other candidates were interviewed as well, including former delegate Shawn Z. Tarrant. Brown sat at the end of the table and never spoke. The smart money was said to be on Welch. 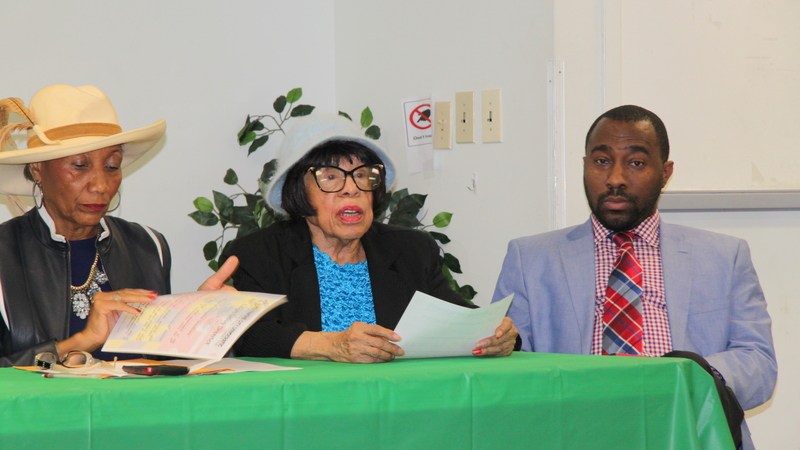 A community activist with the politically-plugged-in Southwest Partnership, her grandmother, former longtime councilwoman Agnes B. Welch, also sits on the committee. The first to go before the committee, Tiffany Welch noted that she is president of the Matthew Henson Neighborhood Association, worked on the issue of food deserts in the community, founded the group Save a Dope Boy, which is focused on empowering and employing under-served youth. Other members of the Welch clan, including her father, former councilman William A. “Pete” Welch, were watching from the audience. 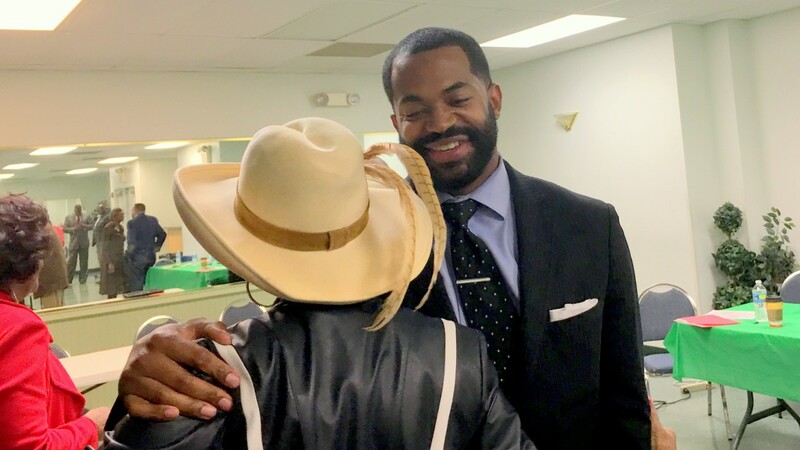 But when the results of the vote were announced, there were audible gasps: former city councilman Nick J. Mosby edged out Tiffany Welch by a vote of 4 to 3. Arlene Fisher, on the second ballot, cast the deciding vote. Mosby, whose mayoral candidacy never caught fire, was jubilant upon getting a seat in the legislature, accepting congratulations from Del. Antonio Hayes, Sen. Barbara Robinson and others. “I feel like being a public servant is literally in my blood,” Mosby told reporters. Some in the audience said they were hopeful about Mosby’s selection. “I’m going to hold him to what he said about making the central committee more transparent,” said Nicole Hanson, president of the board of Out for Justice, an organization that seeks to help citizens with criminal records reenter society. “We need Baltimore to continue to lead the charge in Annapolis on the returning citizens issue,” said Hanson, noting she had already made an appointment to meet with her new delegate. Walking out of the meeting hall, the Welches appeared to be in shock. “It seems like you got a surprise here tonight,” a reporter said. “No kidding,” Agnes Welch replied. The crowd of about 70 people included a gaggle of political observers and reporters who were there to watch the show. Hassan Giordano of GCOMM Media and Doni Glover of bmorenews.com were following the proceedings closely, as was WOLB talk radio host and former state senator Larry Young. 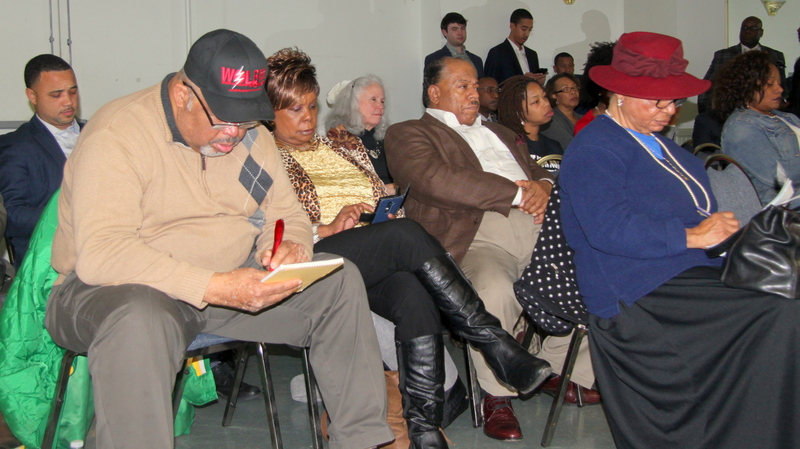 Along with Welch, Mosby, Fisher and Tarrant, people who came before the 40th District panel were: longtime community activist Bill Marker, Chas Eby of Hampden, community activist Ronald Anthony Mills, Sean Tully of Violetville, and former state central committee member Sarah Matthews. Voting for Tiffany Welch were: Tiffany Welch, Agnes Welch and Gary Brown. Brown’s grand jury indictment, for allegedly funneling $18,000 to Pugh’s campaign in the names of his mother, stepfather and brother, came just days before he was due to be sworn in as a state lawmaker. He remains a staffer in Pugh’s City Hall communications office and is still on the Central Committee. He has not commented publicly about the charges filed against him. He declined to do so last night. The next step is for the committee’s nomination to go to Gov. Larry Hogan, who is required to appoint someone to fill the vacancy. With the legislative session already underway, the committee was under pressure to find representation for the District. Still, some questioned the lightning speed of the process. They noted that the committee circulated notice that it was accepting positions for the seat and holding a 5:30 pm interview on the same day as the voting session.